Imagine waking up each morning on the doorstep of Granville Island with beautiful mountain and city views. Quiet and private, this corner townhouse offers plenty of natural light and ample space across three bedrooms and two floors. If it's outdoor space you're after, you'll find it here. With two deck areas, there's lots of room for firing up the grill, sipping your morning coffee, or kicking back and relaxing. 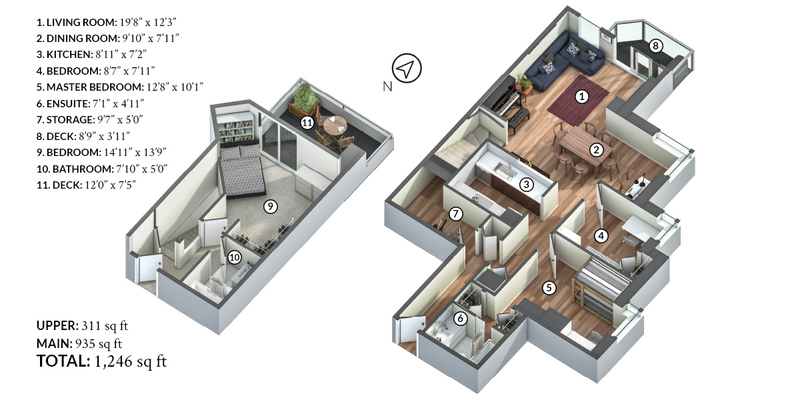 With a very practical floor plan, there are endless possibilities for designing your dream home - let your creative side run wild!